CIRCUS, CIRCUS is a collection of memories from my childhood. Every summer the Ringling Bros. Circus, whose base is in Baraboo, WI hosts a parade in downtown Milwaukee. I, along with thousands of people, gathered to see this extravaganza. Beautifully restored antique circus wagons filled with lions, tigers, bears and monkeys, clowns, jesters, acrobats and elephants paraded down the streets performing for the crowds. I was captivated by the magic of the Circus and know that someday I would paint these colorful memories from my youth. 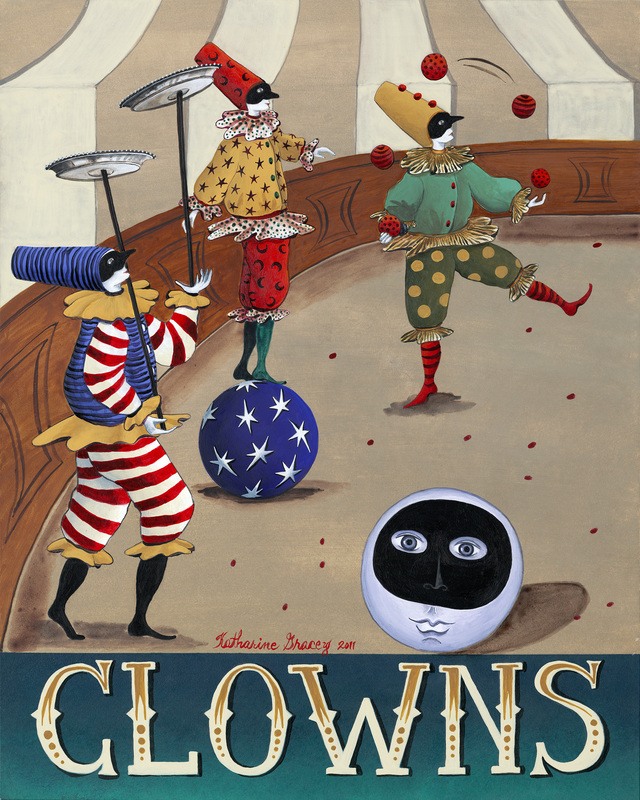 The 12 paintings of CIRCUS, CIRCUS are painted in a style reminiscent of turn of the century posters.